International Classical Musical Awards 2018 Gala Concert. Christoph will perform the 1st movement of Avner Dorman’s “Frozen in Time”. “For the 2018 International Classical Music Awards, the ICMA Jury has once more selected musicians and organizations that have distinguished themselves through outstanding achievements. The independent and international jury has also chosen their favorites from 357 nominated audio and video releases. The list of all the winners is available in the section ‘Winners’ of our website. Herbert von Karajan’s favorite baritone, José van Dam, receives the Lifetime Achievement Award, Manfred Honeck, Music Director of the Pittsburgh Symphony Orchestra, is ICMA’s Artist of the Year. The Young Artist of the Year Award goes to the outstanding Luxembourgian-Austrian percussionist Christoph Sietzen. With the National Polish Radio Symphony Orchestra hosting the Award Ceremony and the Gala Concert in April 6 in Katowice, the ICMA Jury paid special attention to the Polish music life and awarded an Outstanding Young Polish Artist Award to pianist Szymon Nehring. The winner of the Discovery Award, which ICMA organizes in collaboration with the International Music Academy of Liechtenstein, is the sixteen-year-old Chinese flutist Yu Yuan. 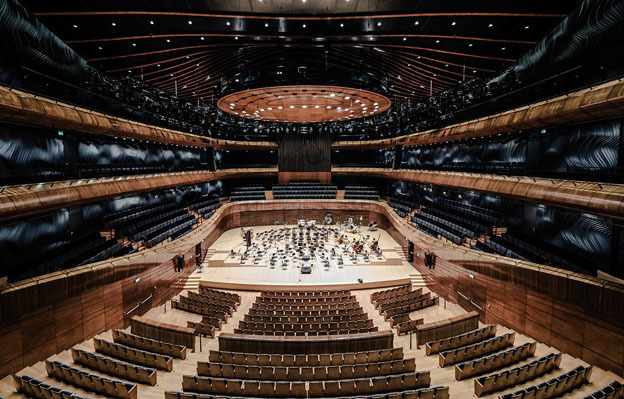 Alpha is Label of the Year, and among the other winners are the Krzysztof Penderecki Center Luslawice, the National Symphony Orchestra of the Polish Radio in Katowice and Melodiya for its Anthology of Russian Symphonic Music. Among the audio and video awards the recipients are Capella de Ministrers, Stefan Temmingh, Philippe Jaroussky, Véronique Gens, Lukasz Borowicz, Krystian Zimerman, Quartetto di Cremona, Sol Gabetta, Cornelius Meister, Alexander Liebreich, Hannu Lintu, Herbert Blomstedt and Markus Poschner.